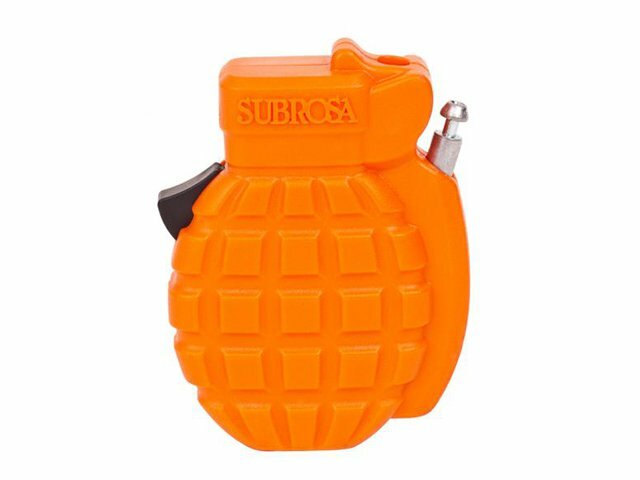 The Subrosa Bikes "Combat" Bike Lock looks like a hand grenade, probably as a deterrent effect against thiefs. This funny little lock should not be used for longer time, only for short visits in something like a bakery or a pharmacy. The 1.2mm steel wire of the Subrosa Bikes "Combat" Bike Lock avoids riding or carrying away your bike .